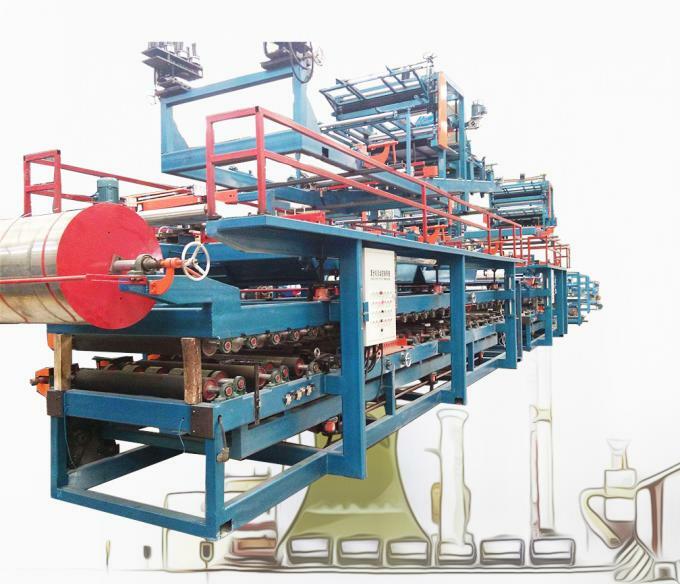 Colorful Steel Plate Discharge Rack, Corrugated Unit ( Tile Press ), Composite Host Unit, Finished Cutting Unit ( Cutting Part ), Conveyor Frame ( Towing Rack ), Auxiliary Equipment. PLC Adopts Touch Screen, And Frequency Converter Adopts Taida. Rock wool sandwich plate machine is a set of color steel compression, transmission rock cotton, rock wool board composite, cutting rock wool board, forming plate.It's all about electronics.The production of this set requires five operators.Two rock tampons need to be transported.There are two forming plates and one operating computer control box can open a whole set of rock wool sandwich board machines. 1, Host length is 6 meters, Φ 150 rubber roller, big 80 * 180 * 6 mm. 2. Can produce foam composite plate thickness of 50-300mm adjustable. 3. 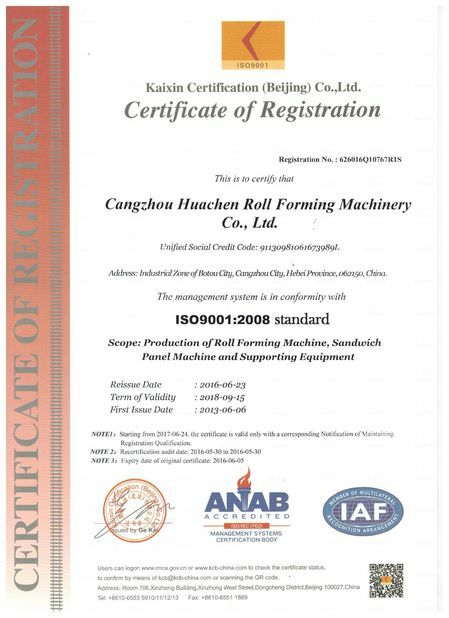 Replace the upper and lower iron rollers of the equipment with rubber rollers.In addition to the 13 shaft for iron roller, the rest is for rubber roller, Φ 150 rubber roll of 19 roots, corrugated roller 6 root. 4. 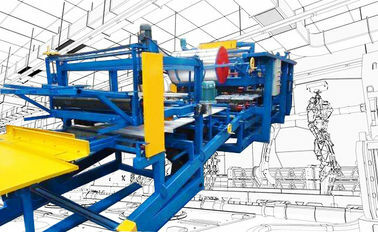 The lifting and lifting of the main machine are 6 wire rods, 6 phase legs must be used, and the lower drive shaft is 40. 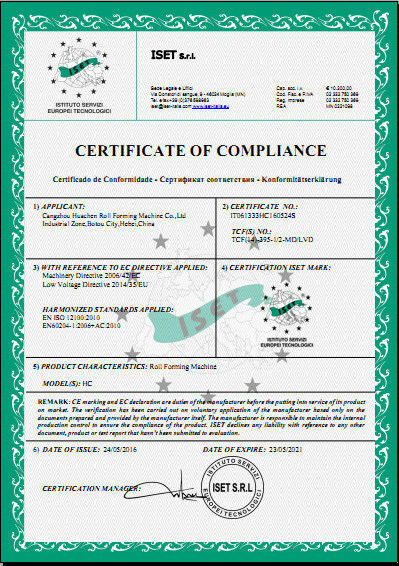 The rock - cotton sandwich plate machine is mainly divided into five - type machine and seven - type machine.In other words, the self-selected model of model 5 is 950 foam type, 980 self-locking type, 980 lap type, 970 bite type and 970 foam lap type. 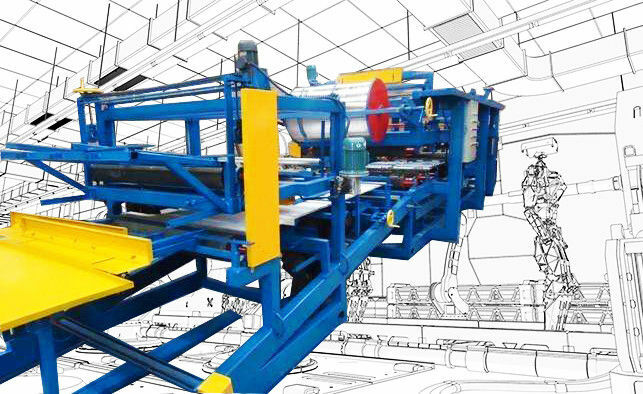 Rock wool sandwich plate machine adopts advanced production technology and integrates gas and electric machinery.Working speed variable frequency infinitely adjustable-speed, sandwich corrugated type composite board a full set of assembly line, at one time by feeding mechanism, forming mechanism, composite structure (including embossing, coating, heating, composite, edge, slot, the edge, pneumatic and automatic cutting), is the production of industrial workshop, warehouse roof panels and wall are indispensable equipment.